Apple’s iPhone 8 has leaked again but this time it’s a physical device that shows off the fabled handset in all its real-world glory. The leaked images come from BGR, which says these are design mock-ups of the real thing, as it will look on release day later this summer. 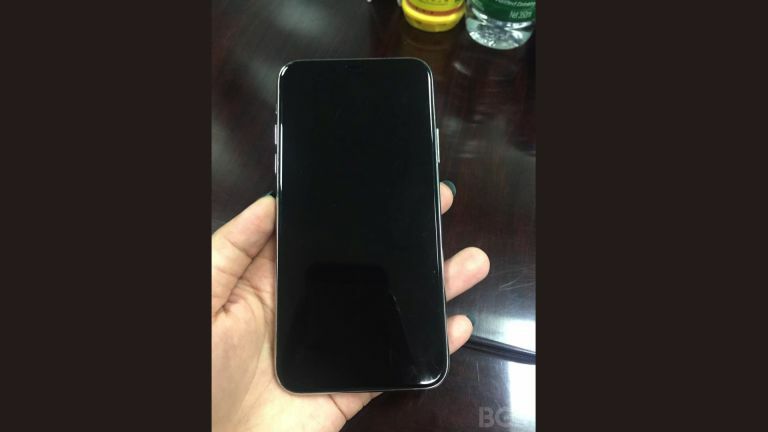 The iPhone 8, according to these images, should feature a 2.5D curved glass front and back with a stainless steel frame - as previously rumoured. The rear of the iPhone 8 appears to feature a dual camera setup that protrudes from the phone suggesting some serious power. Rumours claim this will mean extra sensors for depth sensing in the front of the phone. This could be for the facial recognition unlocking that has been rumoured for some time now. It’s unclear if Apple will include the Touch ID sensor under the glass as rumoured. It can't be seen in the design model but then it might not be added at that stage - or could simply be invisible. Since this is a design model we’re taking it all with a pinch of salt. That said this does all seem to fit in with previous rumours. There’s no word on that OLED screen so we may have to wait a little longer to see if that makes an appearance. Expect Apple to officially reveal the iPhone 8 this September.